I still remember the last time I biked Manila to Tagaytay all way. Now, I am doing it again on June 25 on Manila Day Ride. The ride is less than 100 kms, very short duh!!!! it will start from San Andres St., Osmena Hi-way, Manila at 0400 to Mushroom Burger, Tagaytay Branch. Lets give our legs a chance to taste sweet uphills of Tagaytay. Hope we could meet new faces from Manila and outside Manila. Invitation update is posted in Facebook Event and in Philmofo Fun Ride section. 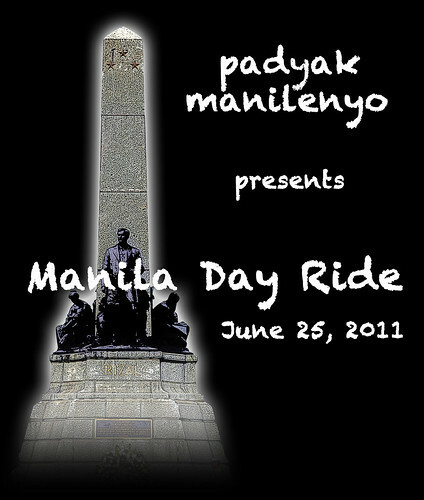 For safety purposes, Padyak Manilenyo have decided to cancel the ride on Saturday, June 25 and move it on July 2.